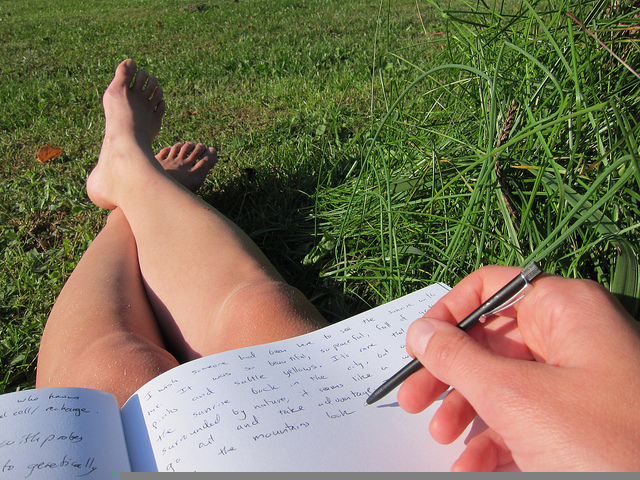 Writing my Way to Freedom. I am a yoga teacher and I am very grateful for the life I’ve created. I’ve worked hard at building my business and I’m proud of what I’ve accomplished. Recently, I went through a big change in my teaching career and did some deep inquiry work. 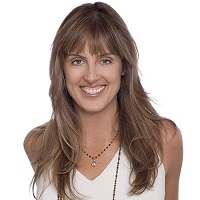 I was lucky enough to connect with a woman named Laurie from at a prominent coaching firm just as a new path for my business was opening up for me. Always a seeker of self-help, connecting with Laurie at this time felt like an obvious next step. I was in need of a new perspective and she was just the person to guide me. The process was nothing like I was expecting! For starters, I was instructed to do a writing exercise that detailed pretty much my entire life. The very first session required a lot of homework and journaling about my shadows from the past. After reviewing my work, my coach explained the first principle I needed to learn was “taking responsibility for everything that has happened to me.” She explained that when we take full responsibility, we own the life we are living. We can then find the power to create the life we truly love. This was humbling to accept: every thought, every word, every deed is making up the life I’m living! My past had been a bumpy ride and I used my stories to describe myself as a warrior and painted a picture of this woman who had beaten the odds. However, when I looked back at this story on paper, I realized that the way I described it was that it had all happened to me. Shifting my perspective to understand that I made all of the choices that created the past was just the beginning of a new level of ownership and power in my life. The concept, “Don’t report the weather” shortly followed. There was a tendency in the way I worded things that dampened the message I was trying to convey. Apparently, everyone does this to some extent. Bottom line, we all make excuses. When we make excuses, we miss the point, the truth, and a void is created. We lose connection with the other party by not explaining how we really feel. Changing my language to a more direct approach and speaking truthfully delivers my message clearly. This is ultimately what connects me to my vision. This also allows me to observe my self-talk. Can you relate to this? Are you continuing to make excuses? Beating yourself up? I only realized it when I literally wrote my thoughts out. These behaviors can be unconscious and it was helpful to have someone point this out in my own words. As she reviewed my emails and “thought-logs,” I found myself becoming much more efficient with what I was trying to say and I began to find the confidence to speak my mind in a way that connected me to my truth. Through my thought-log journaling, I got very truthful with myself about where my life was going. Having my life written out on paper helped me open up my perspective to see what needed to be changed to align myself with a path where my authenticity would flourish. To move forward I first needed to understand what was holding me back and then have the courage to let it go. Releasing negative thoughts, letting go of excuses, and not comparing myself to others helped me stay on track and stay focused on what I wanted. This allowed me to take ownership of the work it takes to create a life I love. My coach’s intention here was to help me “design my life.” It’s similar to a business plan that helps you carve out a clear path to accomplish your dreams. The coaching exercise shows you how realistic your dreams are, then supports your creation of an action plan. The result is transforming a lofty idea into reality. I was pushed every day to do something to create what I wanted and was held for staying on track. Personally, I found it extremely powerful to have someone waiting for my regular report on my progress. This kept me steady on my path. In such a fast paced world where it’s easy to get lost in the daily grind and lose sight of the point of it all, it was great to talk to my coach about my hopes, dreams, and fears. She helped me get out of my head and put action and fearlessness behind my deepest desires, which has been a driving force since working with her. Ultimately, I leave you with this sentiment: You are the seeker and creator of your dreams. Dare to live your life to your fullest and open up to a world of abundance, which you deserve. Yes, the process can be truly scary, but in the end, you just might realize that this is where your dreams begin to take shape and the real living begins. You can connect with Joan here. Design your Life is hosting a weekend in Los Angeles on June 11th. For more information, click here.